For an enthusiast of dragons, a few statues and collectibles just is not enough. 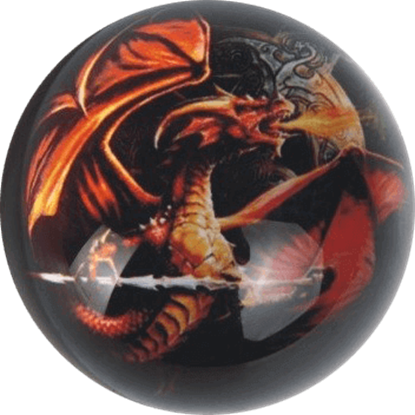 We understand, and that is why we endeavor to provide a selection of dragon home decor items that allow dragon lovers to really immerse themselves in a world filled with dragons. 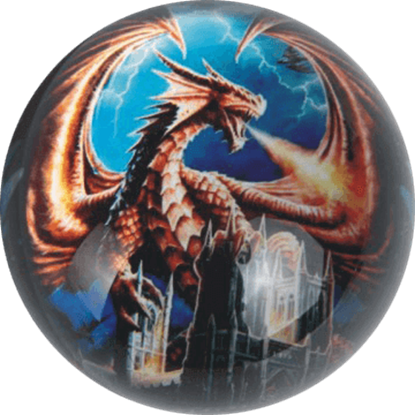 Here in our dragon home decor section, you will find all manner of decorations, accents, and even furniture items that are perfect for use around the house, providing both function and style. 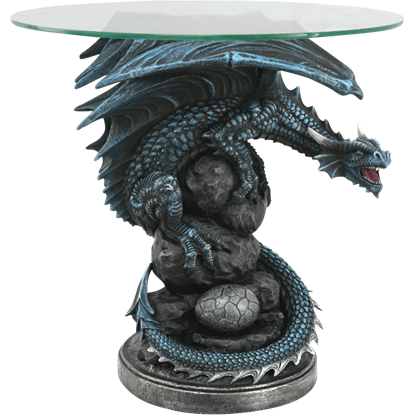 Now you can infuse your love of dragons into every room of your home! We offer dragon wall displays for decorating your rooms and halls with dragons of all shapes and sizes. We have dragon picture frames for showing off your photographs with that added touch of true dragon style. There are little dragon CD holders and dragon cellphone holders for your desk, should you need a dragon to safeguard your technologies and your data. We offer dragon pen stands and staplers for those who want to further dragonize their office. 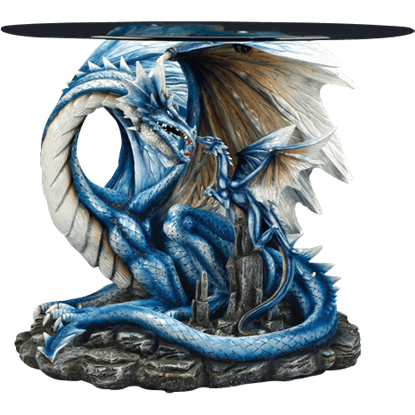 Dragon vases are great for storing flowers, while dragon chairs are the absolute pinnacle of dragon decoration, ensuring that even when you sit and relax, you show off your love for dragons. If you are looking for the next great dragon decoration that reveals your enthusiasm for this mighty fantasy beast, then perhaps you are due for a trip to our dragon home decor section, where you will find all manner of items, both big and small, perfect for decorating your home with nothing but dragons. 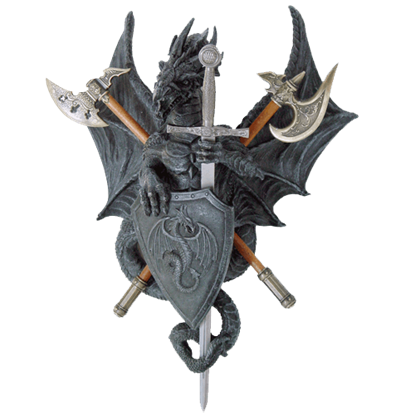 The grim, stone colored dragon depicted in the Battle Dragon Plaque guards a multitude of decorative and ornate medieval weapons. 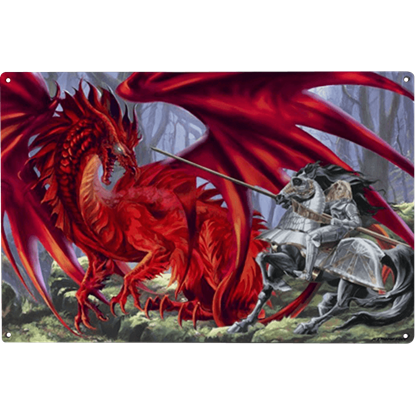 This intense and striking plaque is ideal for transforming your home into an austere fantasy castle. Whoever secures a dragon egg will raise the beast from birth, taming the ferocious creature so that it may do their bidding. 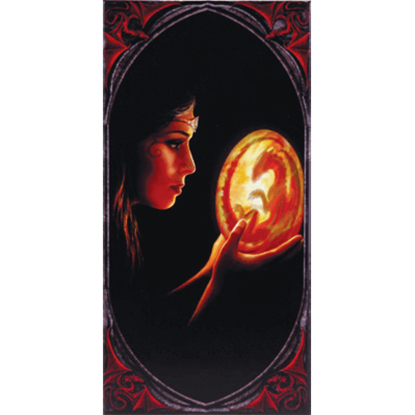 In the Beginning Ceramic Art Tile by Anne Stokes, one fantasy queen has harnessed such life-changing power. 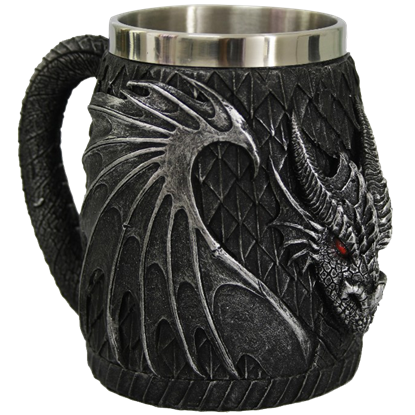 The Black Dragon Scale Tankard is a wickedly fun way to enjoy your favorite drink. 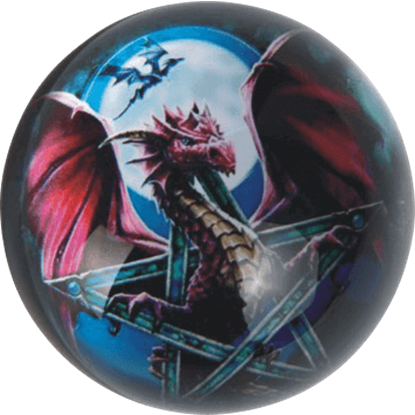 Made of cast resin, this fantasy cup is highly detailed to look like dragon scales and features a dragon head on its front and wings on each side. 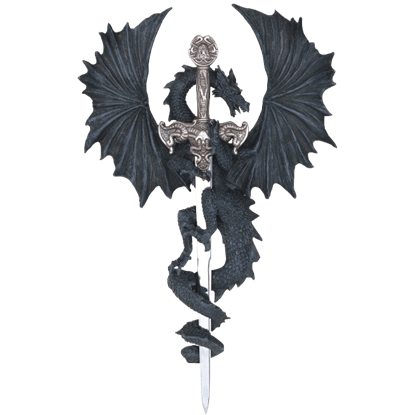 The Black Dragon With Sword Wall Plaque is made of poly-resin that is finished in brushed silver. The dragon is gripping the medieval sword and will not let go. The wings of the dragon are spread wide open. The beast shown in the Bloodlust Dragon Metal Sign has finally crossed the line, and so the brave prince is out for blood! Gaze upon the most dangerous hunt when you hang this epic sign in your home, completing your dragon decor. Add dragon style to your drinkware collection when you sip from the Blue Dragon Face Goblet. 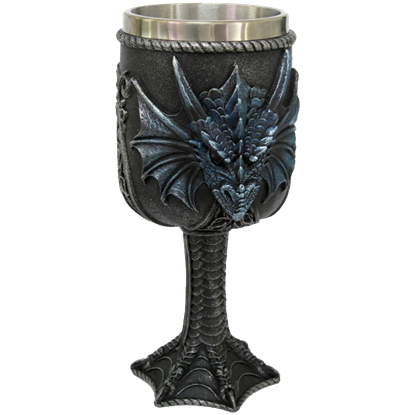 This hand painted, cold cast resin goblet is styled to look like ancient dark grey metal embellished with the head of a dragon on its side. Your writing utensils are sure to stay safe when guarded by these fearsome dragon faces. 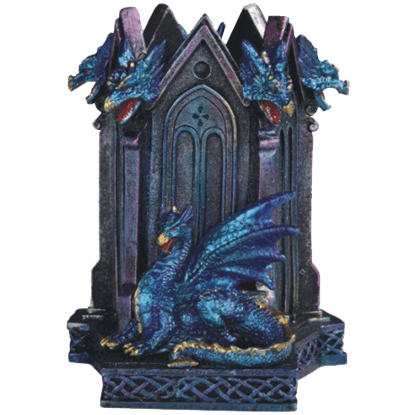 The Blue Dragon Pen Holder features fantastic draconian details throughout its hand painted, high quality cold cast resin construction. Nothing shows a ferocious beast that it has been tamed more than having it carry your belongings. Or, in this case, your dinners and drinks. The Blue Dragon Table places a fearsome firebreather in exactly this position. Many people fantasize about slaying a dragon, but what about training a dragon to hold your beverages and books? With the Blue Dragon with Hatchling Table, you can effortlessly tame the wild nature of the most fearsome fantasy beast.